Katha Pollitt, plus Bob Dreyfuss on Russiagate and David Bromwich on Trump’s ruling passions. 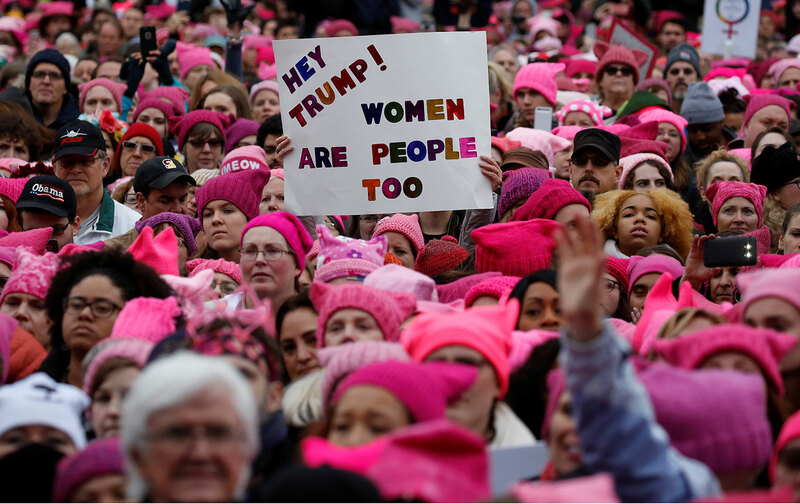 Since Trump took office a year ago, Katha Pollitt says, women have been unleashing decades of pent-up anger: starting with the Women’s March, then in some amazing political victories, and in the #MeToo movement. But Trump has also shown how terrible the loss of the White House has been. Also: David Bromwich says there are no surprises with Trump: he’s been the same for decades, a “wounded monster” with a history of racism and a contempt for people he considers “losers.”But defeating him requires more than an issue—it has to be a cause. And Bob Dreyfuss explains the secrets behind the creation of the Trump-Russia dossier assembled by Christopher Steele and Fusion GPS—as revealed in congressional testimony released last week by Diane Feinstein, against the wishes of the Republicans.